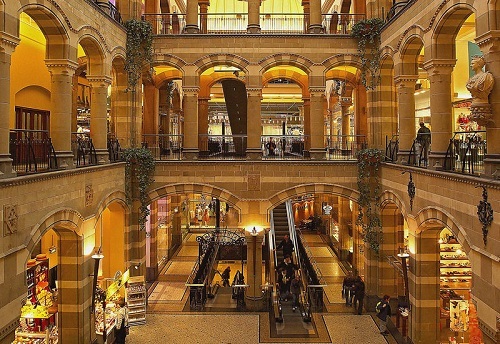 The most important shopping mall of Amsterdam is Magna Plaza. Magna Plaza is located behind the palace on Dam Square. Most striking is the beautiful neo gothic building Magna Plaza is based in. It is actually one of the ten most valuable monuments in the city according to the Amsterdam government. The interior is historical too. 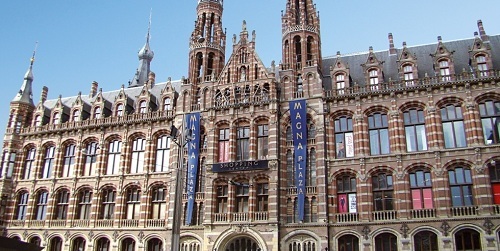 Magna Plaza has four floors, with predominantly fashion, beauty and cosmetics stores. Picture yourself beauty shopping in an historical environment with all the big brands. The prices in this shopping mall are average for Amsterdam standards. There are also a couple of good souvenir shops in this shopping mall. Another attractive feature of Magna Plaza is Cafe The Views located at the top floor. It has a nice view on the busy intersection behind Dam Square. A must visit for all shopaholics who want to check out the latest styles in a very special shopping mall. The Kalvertoren shopping mall is located in the Kalverstraat near the singel and the Munt tower. This small and stylish plaza has 4 different layers. There are stores like H&M, HEMA, Guess, Swatch, Dixons and much more. One of the best features of this shopping center is the sky lounge like lunch restaurant at the top layer. Lunching at Blue means great food and a great view. You can practially overlook the whole city up until the commercials centers of the Zuidas and Sloterdijk. Most church towers are pretty close by and clear! Gelderlandplein is a sub urban shopping mall with over 90 shops including some really good clothing and cooking stores. This shopping mall is located in the affluent southside of Amsterdam. Of specific interest is the many activities there are for children including a skating rink in the winter. The Gelderlandplein is especially fit for you if you’re looking to buy some high end quality products but don’t want to bother with bustling shopping streets in the center of Amsterdam. All major Dutch retail brands are present in this mall, and it is somewhat of a hidden gem in Amsterdam shopping. 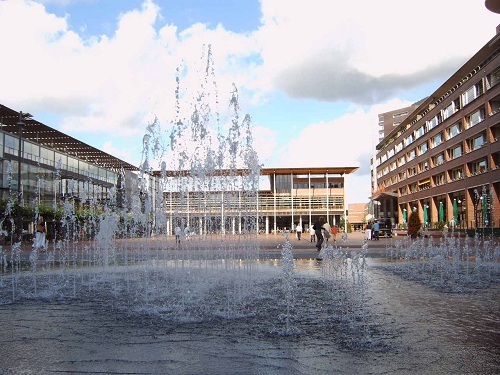 Due to the lack of large shopping malls in Amsterdam Centre outside of Magna Plaza it is definitely worth mentioning the Stadshart Amstelveen. 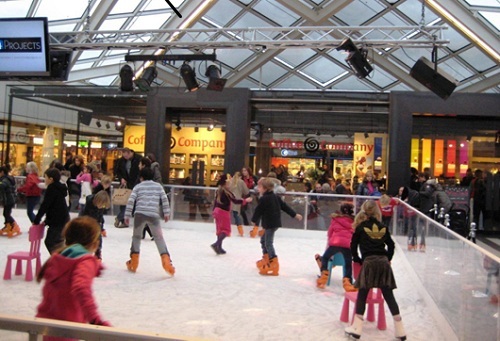 This is the only 4 star rated shopping center in The Netherlands. It is also the largest shopping mall in the larger Amsterdam Area. All big Dutch department stores such as V&D, HEMA and Bijenkorf have XL stores in the Binnenhof. Other noteworthy shops are the Bose Experience Center, Rituals Store & City Spa, The English Hatter and all the top Dutch electronics shops. The variety on offer is endless with more than 210 stores. On Friday Stadshart Amstelveen hosts a market. Stadshart Amstelveen is located at the end station of tram number 5 which runs from Amstelveen to Central Station.